Cleveland Heights Tow Truck Insurance – Call Us Today! If you’re searching for better rates on Tow Truck Insurance in Cleveland Heights Ohio and the surrounding areas then you’ve found the right place. We are Pathway Insurance, a leading independent insurance agency in Ohio. As an independent agency we have the tools necessary to help our customers find appropriate and affordable coverage on Tow Truck Insurance in Ohio. Give us a call today at 1-800-998-0662 to speak with one of our licensed insurance agents. 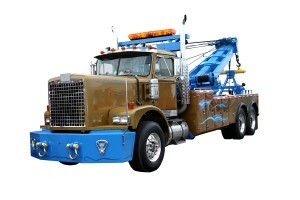 Cleveland Heights Ohio Tow Truck Insurance – Exclusions of Coverage. This week we will continue the theme of exclusions of coverage. Just in case you’ve forgotten what exclusions of coverage are, we define them as specific situations pointed out in the language of an insurance policy for which coverage would not be approved by the insurance company. The advice we give at Pathway Insurance to our policyholders when it comes to exclusions of coverage is to read your policy very carefully! You want to know what is and, more importantly, is not covered on your Ohio Tow Truck Insurance policy so that you can’t be blindsided by a claim denial down the road. Reading the policy really is the best way to achieve that. Bearing that in mind, let’s conclude our claims scenario to illustrate the importance of knowing your policy’s exclusions of coverage. Tow Truck Insurance Cleveland Heights – Coverage Scenario. When we left off, the lawyer representing Walter’s Repair and Tow contacted Jeff to persuade him to drop the case, or else they will petition the judge for a declaratory judgment. When Jeff still does not back down, the lawyer suggests that he may be eligible for workers compensation under Walter’s Repair and Tow’s policy. Jeff continues to hold out for a bigger payout, however, so the lawyer tells Jeff that he’ll email him a copy of Walter’s tow policy and highlight what it says in regards to Jeff’s situation. b . The spouse, child, parent, brother or sister of that employee as a consequence of Paragraph a. above. Put more succinctly, coverage is excluded for bodily injury to the spouse of the employee as a consequence of the employee’s employment. And since Jeff’s wife was injured as a direct result of Jeff’s duties while on the job, she would not be covered. So while Jeff might be eligible for workers compensation under his employer’s policy, his wife certainly is not. Out of anger, Jeff doubles down. He rants belligerently about how he’ll have his day in court. Just as the lawyer promised, within weeks the judge issues a declaratory judgment that effectively quashes Jeff’s lawsuit and labels it groundless. Defeated, Jeff drops the lawsuit. He is fired from his towing job and has to start liquidating all the fancy stuff he bought with the settlement money from the first lawsuit to come up with money for his wife’s medical bills. If Jeff had understood the language of his employer’s policy as it relates to him as an employee then he might have thought twice about filing a lawsuit. Learn about these exclusions of coverage for your towing operation by calling the agents at Pathway Insurance for answers to your questions about Ohio Tow Truck Insurance. Our number is 1-800-998-0662, and we’re available Monday through Friday 9:00 AM to 5:30 PM (PST). We can shop the market for you to find some of the best coverage options on Tow Truck Insurance in Cleveland Heights Ohio.